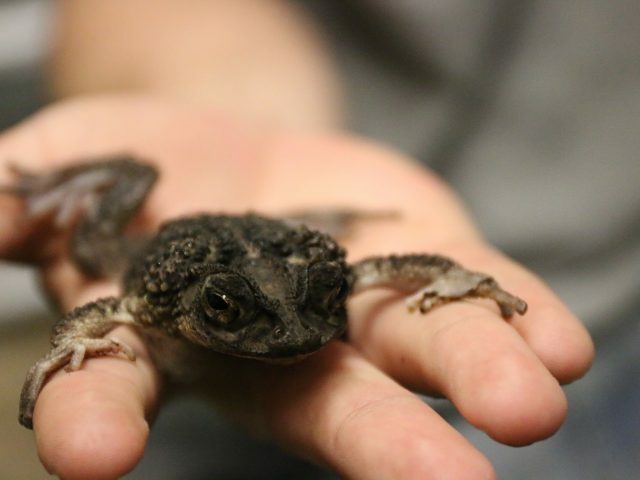 The crested toad is nocturnal and their dispersed population makes it difficult to determine the exact numbers of adults. 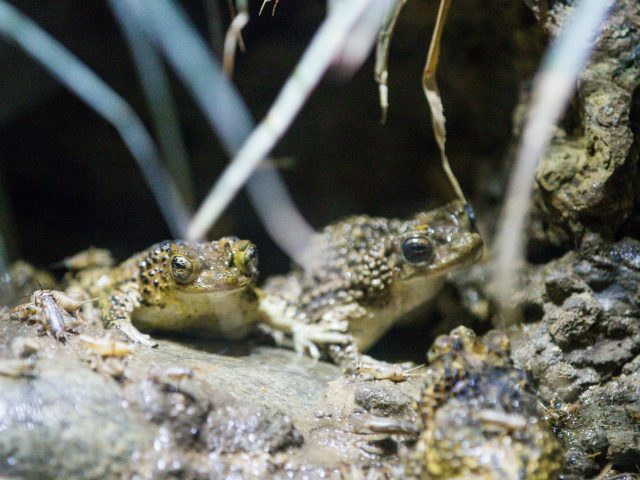 The toads only come together during mating season. 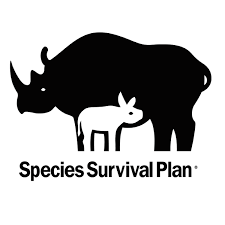 The filling and draining of breeding sites, competition from an introduced toad species and predation from introduced rats and mongoose have all contributed greatly to the decline of this species. 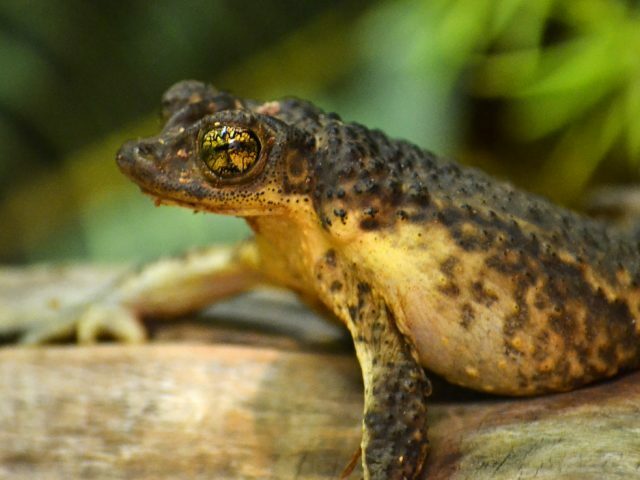 Until 1967, this toad was thought to be extinct, and then became the first amphibian SSP animal. 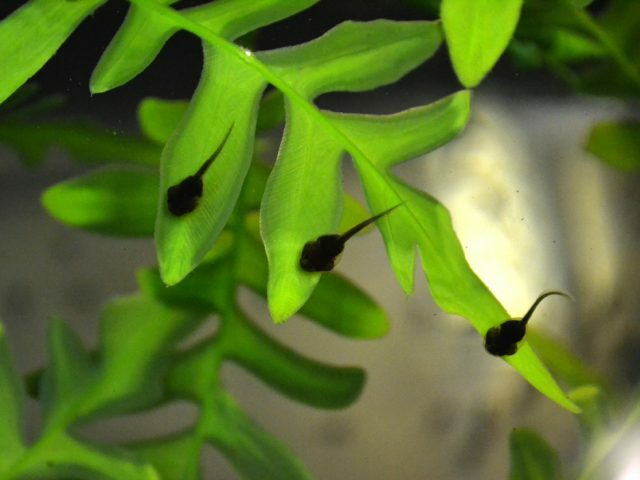 Potter Park Zoo is one of a few zoos and aquariums around the globe to help re-populate this species by breeding and sending tadpoles back to Puerto Rico. 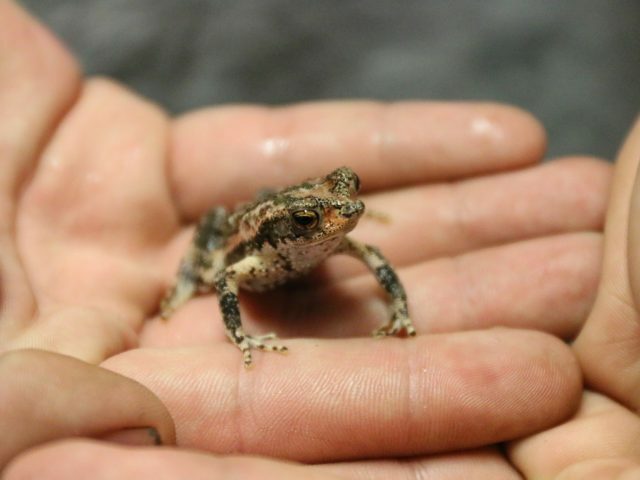 The growth from egg to toadlet will take only 18 days! 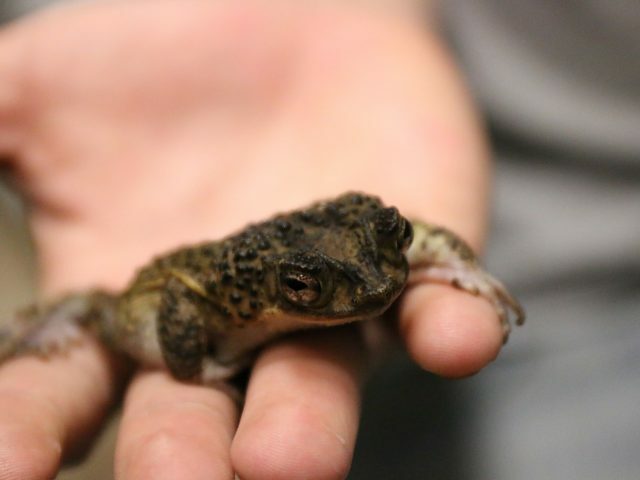 We have more than 40 crested toads here at Potter Park Zoo! 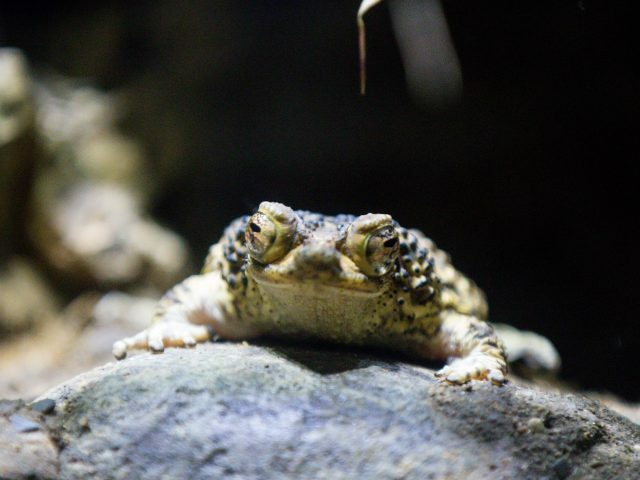 All of the crested toads are on loan from the government of Puerto Rico, and you can visit them all year in the Bird and Reptile House. 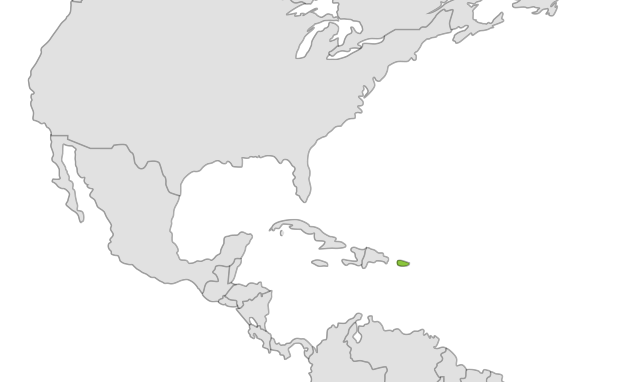 Females are larger than males with an average length of 4 inches, while the average length of a male is 3 inches. 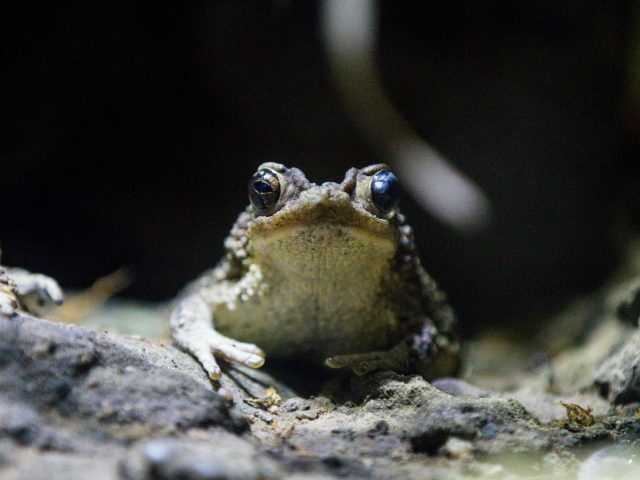 The toads’ diet consists mainly of snails, beetles, and other bugs.